I promised, I deliver. 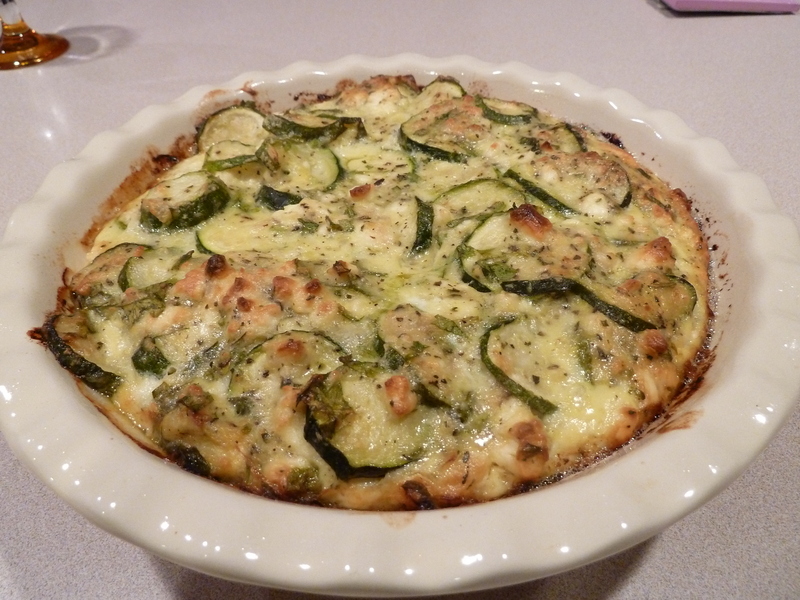 The fantastic zucchini gratin dish that I discovered in summer that I posted without a photo because it disappeared before I had a chance…. not once but twice already…. it’s finally here with a photo. This is the deluxe version in which I used whole zucchini (as suggested by Psychouli in “Gastronomos”, issue 64) but I want to say that it comes just as good with just the inside parts of the zucchini, which are left out when you cook stuffed zucchini. Never throw them away. How to make: Saute the onions and zucchini in a big and heavy skillet until all excessive liquids are gone. In a big bowl, combine the zucchini and onions with the rest of the ingredients. Use as much flour as you need to get thick consistency. Oil the bottom of the pan, pour in the mix and cook at a pre-heated oven at 360 F/180 C for about 45 minutes or until the top is nicely browned. Done! One of my favorite lunches! Make it again please! My favorite, too! Next week, we’ll make stuffed zucchini and zucchini pie, which we haven’t had for a while.